I’ve been messing around with some different crochet stitches and thought I’d make little washcloths to see what they look like. They are made from cotton yarn of course. 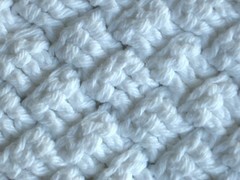 The first stitch (grn,wht, blue) is called the “up and down stitch” which is alternating single and double crochet stitches. The second is called the “basket weave stitch” which is stitching to the front, then the back of a stitch- or something like that. It took me forever to figure this one out. I’m still learning how to read crochet patterns. My brother-in-law thinks that crochet patterns are really some kind of secret code for women to tell eachother girlie information and secrets. Ha! 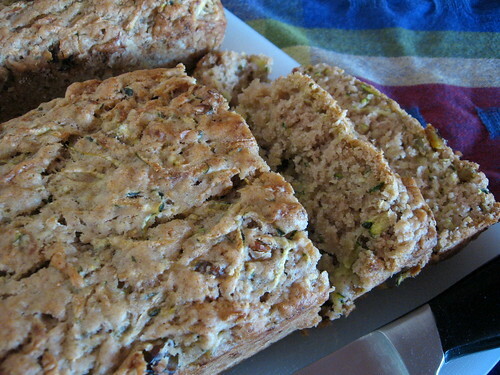 On another note, I made this very yummy and very moist zucchini bread. It is the perfect breakfast treat or afternoon snack. I always double the recipe for 2 loaves when I make this recipe because it is soooo good! The recipe is from How It All Vegan by Tanya Barnard and Sarah Kramer. The recipe can be found HERE. This entry was posted in Food, recipes, Knitting/Crochet and tagged crochet, food, recipe, vegan, washclothes, zucchine bread. Bookmark the permalink. Oooh, love! 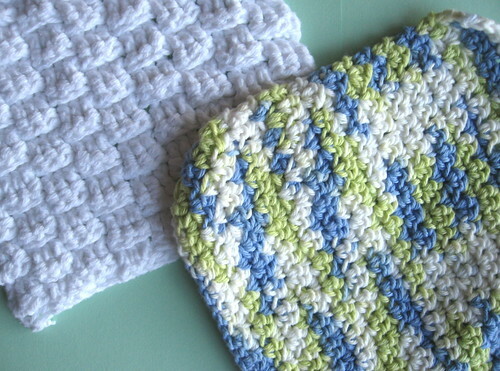 I don’t know how to crochet, but those washcloths make me wish otherwise. They are great! And how I wish I had a piece of that bread right this very moment. that bread looks amazing! I have a huge zuchhini in the fridge – its fom my mum’s garden! Im going to give it a try! 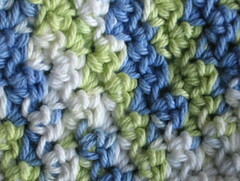 I am making a baby blanket out of the up down stitch- LOVE IT! !